This is RAD. Pun Intended. CURIOUS YET? SCROLL TO LEARN MORE. Real insights begin when data works together. 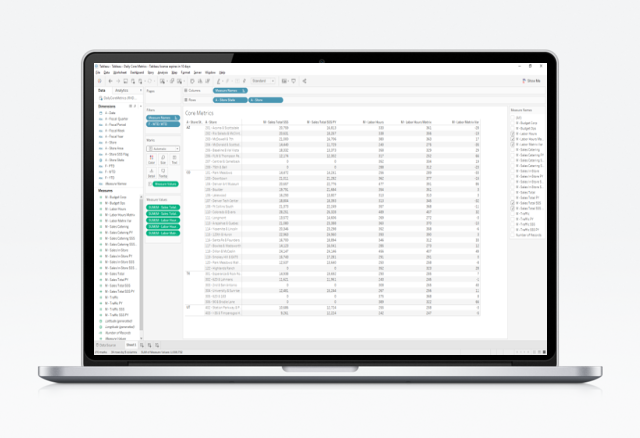 RAD integrates your entire enterprise of data into a custom, restaurant-specific data warehouse purpose built for analytics, the key foundation for fast, accurate, and meaningful analyses. 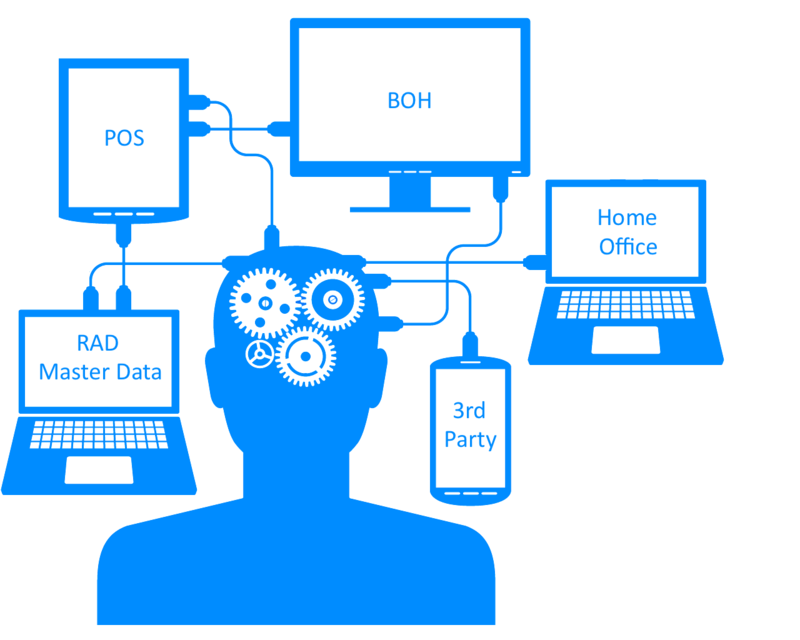 Many Business Intelligence tools sell themselves as data integrators. Don't be fooled, they are not! 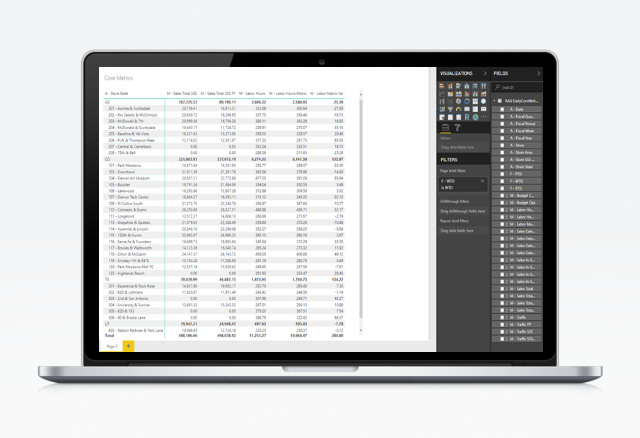 Stop digging around in spreadsheets, databases, and disparate reporting tools. begin when data works together. It's a powerful beast. Make your next decision with it. RAD brings your data to life and transforms it from transactional details into insightful analytics. What's really driving growth, Traffic or PPA? If PPA, is Price or Mix Shift having the impact? Do you know? With RAD, you will. TPLH measures Staffing v. Traffic, and by hour is one of the best measures of efficiency available. Do you have insight into this level of detail? With RAD, you will. 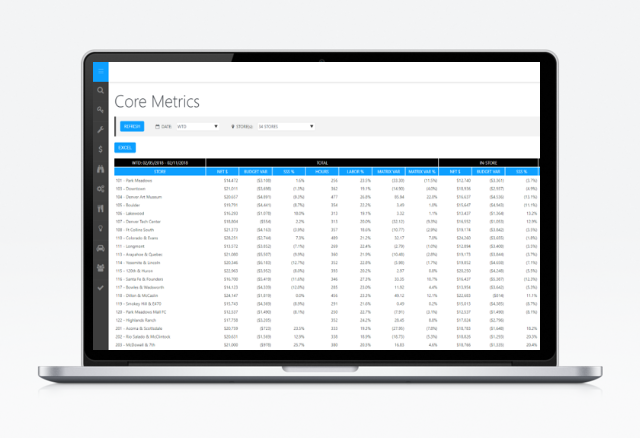 Optimize your schedules based on actual and projected store metrics. Do you measure ideal versus actual labor? With RAD, you will. Identify store performance issues and course correct as your week takes shape. Are you projecting where your week will finish? With RAD, you will. Quickly identify opportunities to improve food usage, reduce waste, and increase profitability. Do you know this? With RAD, you will. Order from RAD's menu, or build your own. Always includes a side of secret sauce. RAD provides key data to all team members, from Executives to Operators, tailored specifically to the wants and needs of your concept. 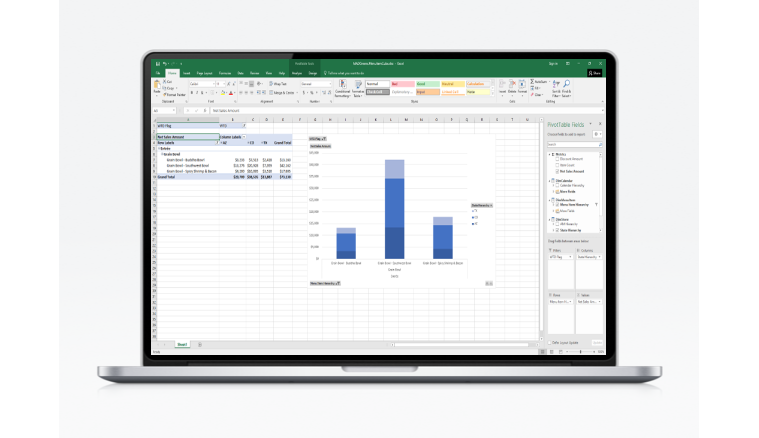 Bring the tools you already own, such as Tableau, Power BI, and Excel, or use RAD's reporting suite. From Corporate Power Users to Store-Level Operators, RAD delivers actionable data to everyone in your organization. No two restaurant concepts are the same. A RAD subscription includes dedicated hours to work with you one-on-one, every month. RAD evolves with your business. ARE YOU READY TO MAKE YOUR NEXT DECISION WITH DATA? They're making smart decisions with their data right now. With RAD at their fingertips, our Operations Team uses timely key performance metrics to make meaningful business decisions spawned from reality rather than assumption. RAD’s knowledge of the restaurant space is a true differentiator especially when solving complex challenges. Raising Cane’s vision to grow restaurants all over the world required us to build a scalable but intricate and detailed forecasting model that captured the diversity of locations in our current restaurant base. RAD empowers all departments at Smashburger, from Operations to Finance, to make data driven decisions that move the business forward each and every day. Our Catering Team has gained valuable insight into customer frequency behavior by mining data via RAD reports. This has proven to be invaluable in creating targeted customer outreach programs. With Raising Cane’s significant growth, it was important to develop real-time and nimble forecasting capabilities to monitor key aspects of the business. RAD enabled us to achieve that goal through their deep understanding of the restaurant space. RAD is a cloud-based SaaS that provides restaurant concepts with accurate, meaningful, and insightful analytics at their fingertips that enable them to make impactful, data-driven decisions. Previously, only the McRestaurant's of the world had the systems and resources to uncover the deep insights RAD provides. 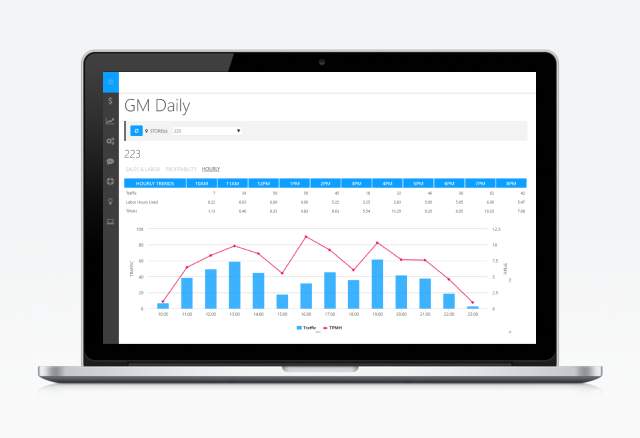 With RAD, any restaurant concept can be data-driven. That's RAD - pun intended. We're friendly data nerds eager to show you how RAD will revolutionize your restaurant concept. Our information is below - reach out, we'd love to talk to you! © 2018 Restaurant Analytics Delivered. ALL Rights Reserved.